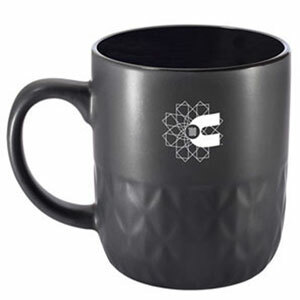 Top to bottom and inside-out, this Cummins Anniversary black ceramic mug offers a visual treat. A glossy interior contrasts smartly with the matte exterior, which additionally features a textured, patterned bottom. Pad printed Cummins 100th Anniversary logo center one side.